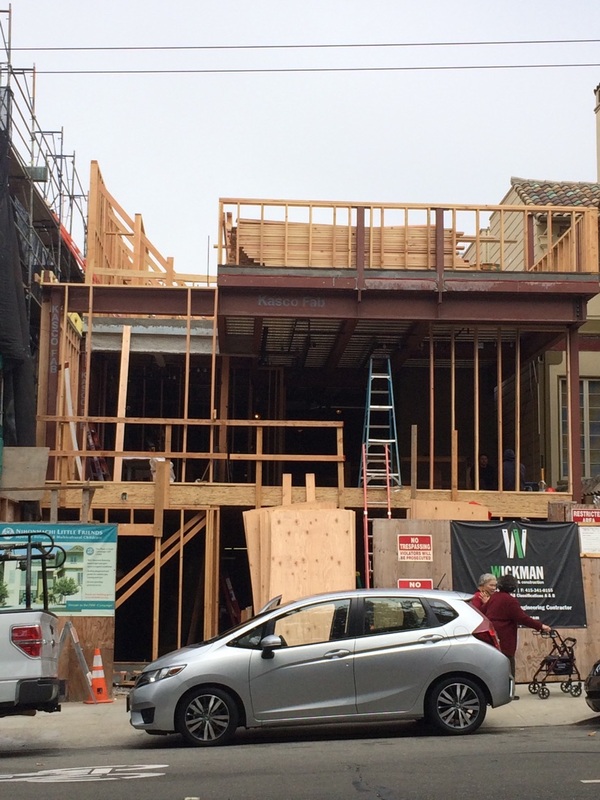 Construction at 1830 Sutter St. on Aug. 12 (above) and April 1 (below). SAN FRANCISCO — Nihonmachi Little Friends’ (NLF) new preschool building on Sutter Street in Japantown is well under way with the full framework nearing completion. Concrete has been poured on all levels, including the rooftop, which will be a play area and children’s garden for science and nature studies. Scaffolding has been erected on the west side of the building to install the siding. 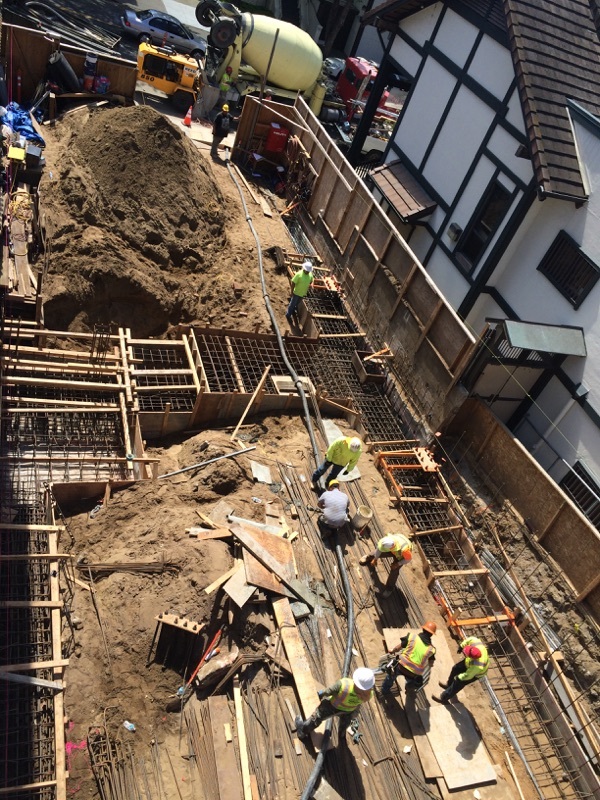 NLF’s Plant a Seed Campaign (PASC) project was launched in 2012 to build a preschool addition to its historic 1830 Sutter St. facility, on its adjacent playground lot. Once a single preschool with 15 children, NLF has grown into a premier childcare center with three sites, serving over 200 children annually with ages ranging from 2½ to 12 years. Over 3,000 children have attended NLF since it was founded in 1975. Its award-winning Japanese bilingual and multicultural programs attract a broad range of families from diverse ethnic and economic backgrounds. Fundraising for the new building addition is continuing during the construction period, with two events planned for this fall: the Big Steps for Little Friends 5K Run/Walk on Sunday, Oct. 9, in Golden Gate Park; and the Sushi Social/41st Anniversary of the agency at its Sutter building on Friday, Nov. 18. Naming opportunities are still available starting at $1,000, with recognition on donor boards in the new building lobby. Information on all of these ways to help NLF reach its goal can be found at its website, www.nlfchildcare.org.